Experiencing a healthy pregnancy is no doubt a glorious experience (once the fog of morning sickness lifts! ), but there may also be a lot of confusion with regard to the "dos, don'ts and how-tos" of maintaining a green, safe and healthy pregnancy -- especially when the world around us is becoming increasingly filled with disturbing news such as most canned food contains the harmful chemical BPA and that studies prove BPA can cross the placenta from mom to negatively impact her developing fetus. Add to that the knowledge that pesticides on produce and toxic cleaning products also adversely affect pregnant women and their precious unborn babes, and it may make you want to pack it all up and move to a remote farm to grow your own food. (At least, that's how I feel at 7 1/2 months pregnant). Even though we're surrounded and bombarded by shocking facts at every turn, there are definitive ways to make your pregnancy more healthy for you and your developing baby. Here are 7 tips for a green pregnancy. Practicing prenatal yoga will help you de-stress and clear your mind, keep you limber and fit, all while bonding with the baby in your belly. 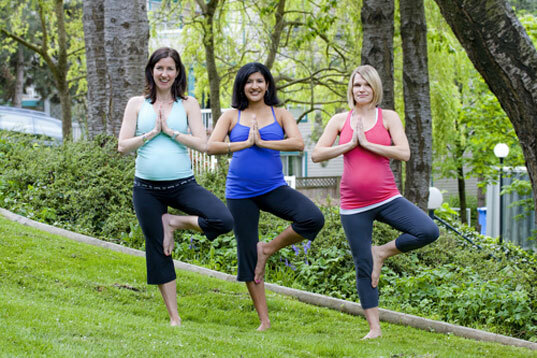 Another aim of prenatal yoga are stamina exercises, which require you to maintain and stick with difficult positions in order to mentally and physically prepare for labor contractions. Most yoga studios offer prenatal yoga classes, but if you have kids at home and can’t easily get away, my favorite prenatal yoga DVD is Anna Getty’s The Divine Mother Prenatal Yoga Series. I used this DVD religiously during my first pregnancy, and now my toddler follows along with me as we prepare for the arrival of her brother. With all the talk of avoiding harmful cleaning products, personal care products are sometimes overlooked. But everything from your shampoo to your nail polish should by free of toxins: parabens, phthalates, sodium lauryl sulfate, phenylenediamine, toulene, coal tar, and more. Not only should you be avoiding these toxins, but your baby should not be exposed to them during his crucial development. Hair dye, nail polish, perfume… whatever you put on your body, keeping in mind that skin is our largest organ and it absorbs these products directly into our bloodstream, should be closely scrutinized. The Environmental Working Group’s Skin Deep Cosmetic Safety Database arms you with the information you need to make healthy choices in personal care products, and you may also enter names of certain brands and products to obtain their toxicity score. 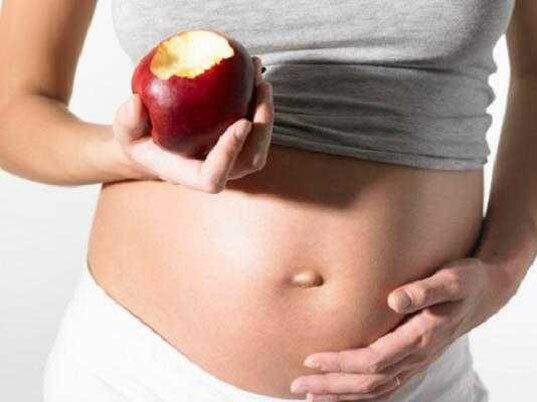 There is no more vital time to eat an all organic diet than during pregnancy; and feeding your baby an all organic diet once she is born is equally important. The pesticides sprayed on conventional produce have been linked to causing “birth defects, nerve damage, cancer, and other effects that might occur over a long period of time.” Recent studies also link pesticide consumption in children to the increase in incidences of autism and ADHD. Organic produce is now widely available, and although it may cost a fraction more than conventionally grown produce, the investment is priceless. If you cannot find all organic fruits and vegetables, either go without difficult to find items, or have a list of ‘The Dirty Dozen’ on hand to help you navigate the most heavily sprayed crops. As mentioned above, researchers have only just begun to scratch the surface on the harm caused by human consumption of and exposure to BPA — and we can only hope our government is on board with ridding its ubiquitous presence from our lives. Nearly all canned foods contain BPA, and BPA passes through the placenta to harm the fetus, re-programming your baby’s DNA for life and planting horrendous ill health effects including breast cancer that may crop up in her later life. Avoid BPA like the plague that it is while pregnant and beyond. Prenatal vitamins should be part of your daily regimen throughout your pregnancy. I even take them while trying to conceive, and while nursing, in order to continue ingesting their health benefits. Most moms-to-be are aware of getting enough folic acid, iron and calcium in their vitamin, and pregnant women should also know that omega-3 fatty acids play an important role in developing baby’s brain. Talk to your doctor or midwife about which prenatal vitamin they recommend. WebMD provides guidelines here, as to what dosage and nutrients your prenatal vitamin should contain. If you’re feeling constipated or nauseous, the culprit could be your prenatal vitamin (iron sometimes causes both symptoms). Speak with your doctor about fiber supplements or switching to a prenatal vitamin that meshes better with your system. 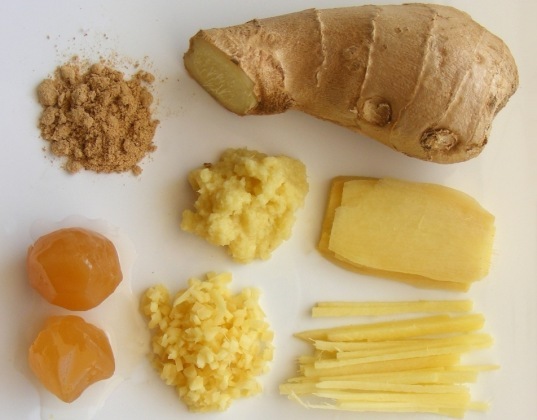 We previously ran a wonderful and informative post: 7 Safe Herbal Remedies Moms-to-Be May Take During Pregnancy. Herbs can be a mama’s best friend during pregnancy as well as postpartum, naturally relieving many a malady or providing a boost or a soothing fix without having to open the proverbial medicine cabinet. There are also many herbs pregnant women should steer clear of. Here is a list of herbs women who are expecting should avoid. Of course, some are more clear-cut than others. For instance, flax seed often appears on the “do not consume while pregnant” list while also being lauded as a great way to ingest omega-3’s. To be on the safe side, talk to your care provider wherever herbal use is unclear to you. Whether you’re pregnant or not, but especially if you are, making the switch to all non-toxic cleaning supplies is a fundamental way to improve your family’s health. Here is our comprehensive guide to making your own safe, kid-friendly cleaning supplies. If you’d prefer to purchase green cleaners as opposed to whipping up homemade batches, Seventh Generation and Method are both great, eco-friendly brands of cleaning products that will keep your home shiny and safe. *Note: Always lock up all cleaning supplies and keep them out of reach of children. What are YOUR top tips for maintaining a green pregnancy? Please share in the comment section below! I'm not pregnant, but I feel like these are great tips to start following before you even begin to try to conceive, so you can detox your body in preparation. Jill has a healthy pregnancy glow! Practicing prenatal yoga will help you de-stress and clear your mind, keep you limber and fit, all while bonding with the baby in your belly. Another aim of prenatal yoga are stamina exercises, which require you to maintain and stick with difficult positions in order to mentally and physically prepare for labor contractions. Most yoga studios offer prenatal yoga classes, but if you have kids at home and can't easily get away, my favorite prenatal yoga DVD is Anna Getty's The Divine Mother Prenatal Yoga Series. I used this DVD religiously during my first pregnancy, and now my toddler follows along with me as we prepare for the arrival of her brother. With all the talk of avoiding harmful cleaning products, personal care products are sometimes overlooked. But everything from your shampoo to your nail polish should by free of toxins: parabens, phthalates, sodium lauryl sulfate, phenylenediamine, toulene, coal tar, and more. Not only should you be avoiding these toxins, but your baby should not be exposed to them during his crucial development. Hair dye, nail polish, perfume... whatever you put on your body, keeping in mind that skin is our largest organ and it absorbs these products directly into our bloodstream, should be closely scrutinized. The Environmental Working Group's Skin Deep Cosmetic Safety Database arms you with the information you need to make healthy choices in personal care products, and you may also enter names of certain brands and products to obtain their toxicity score. There is no more vital time to eat an all organic diet than during pregnancy; and feeding your baby an all organic diet once she is born is equally important. The pesticides sprayed on conventional produce have been linked to causing "birth defects, nerve damage, cancer, and other effects that might occur over a long period of time." Recent studies also link pesticide consumption in children to the increase in incidences of autism and ADHD. Organic produce is now widely available, and although it may cost a fraction more than conventionally grown produce, the investment is priceless. If you cannot find all organic fruits and vegetables, either go without difficult to find items, or have a list of 'The Dirty Dozen' on hand to help you navigate the most heavily sprayed crops. As mentioned above, researchers have only just begun to scratch the surface on the harm caused by human consumption of and exposure to BPA -- and we can only hope our government is on board with ridding its ubiquitous presence from our lives. 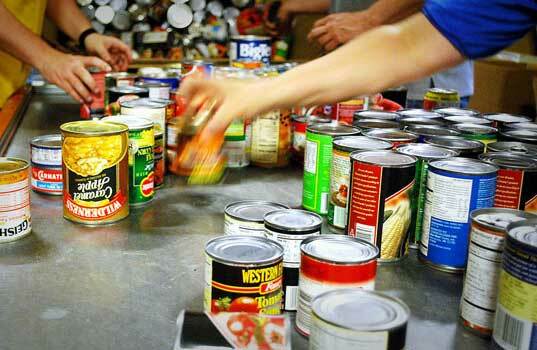 Nearly all canned foods contain BPA, and BPA passes through the placenta to harm the fetus, re-programming your baby's DNA for life and planting horrendous ill health effects including breast cancer that may crop up in her later life. Avoid BPA like the plague that it is while pregnant and beyond. Prenatal vitamins should be part of your daily regimen throughout your pregnancy. I even take them while trying to conceive, and while nursing, in order to continue ingesting their health benefits. Most moms-to-be are aware of getting enough folic acid, iron and calcium in their vitamin, and pregnant women should also know that omega-3 fatty acids play an important role in developing baby's brain. Talk to your doctor or midwife about which prenatal vitamin they recommend. WebMD provides guidelines here, as to what dosage and nutrients your prenatal vitamin should contain. If you're feeling constipated or nauseous, the culprit could be your prenatal vitamin (iron sometimes causes both symptoms). Speak with your doctor about fiber supplements or switching to a prenatal vitamin that meshes better with your system. We previously ran a wonderful and informative post: 7 Safe Herbal Remedies Moms-to-Be May Take During Pregnancy. Herbs can be a mama's best friend during pregnancy as well as postpartum, naturally relieving many a malady or providing a boost or a soothing fix without having to open the proverbial medicine cabinet. There are also many herbs pregnant women should steer clear of. Here is a list of herbs women who are expecting should avoid. Of course, some are more clear-cut than others. For instance, flax seed often appears on the "do not consume while pregnant" list while also being lauded as a great way to ingest omega-3's. To be on the safe side, talk to your care provider wherever herbal use is unclear to you. Whether you're pregnant or not, but especially if you are, making the switch to all non-toxic cleaning supplies is a fundamental way to improve your family's health. Here is our comprehensive guide to making your own safe, kid-friendly cleaning supplies. 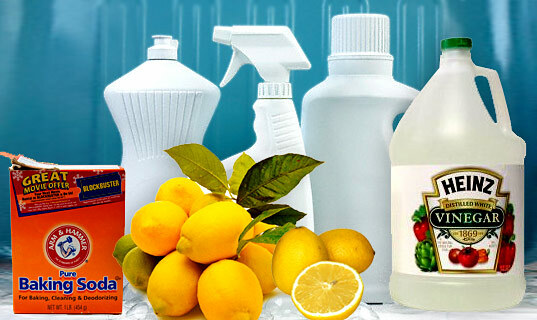 If you'd prefer to purchase green cleaners as opposed to whipping up homemade batches, Seventh Generation and Method are both great, eco-friendly brands of cleaning products that will keep your home shiny and safe. *Note: Always lock up all cleaning supplies and keep them out of reach of children. What are YOUR top tips for maintaining a green pregnancy? Please share in the comment section below!